Numerous times over the last nine years, my readers have asked me about T-shirts for my books and characters. I never really had a way to do it without it involving a ton of time and money and then there was always a chance I'd be stuck with left over merchandise. However, I recently discovered Teespring and it does all the work of keeping track of orders, printing the shirts, and shipping and all I had to do was find a design and set up a campaign. So...I asked my Facebook friends what their favorite book quotes from my books was and then asked them if there was any interest in T-shirts. The response was positive, and the most popular quote was, "Sieges Weathered, Fight Together, Friends Forever." 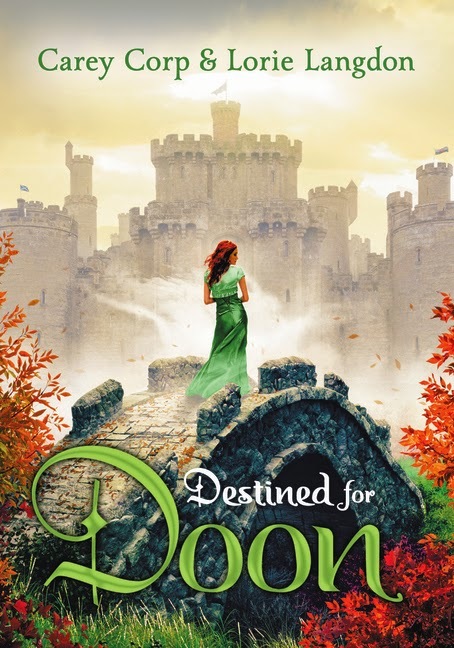 Destined for Doon - Author Interview + Give Away! Here's another author interview - except I should say authorS as I'm thrilled to have both Lorie Langdon and Carey Corp as my guests today! They co-wrote both DOON and DESTINED FOR DOON, which was released on September 2nd. I LOVED both books - they have mystery, romance, history, and suspense elements with very likable characters - all my favorites. Plus hot guys in kilts! Below is the interview, plus pictures of their desks - see Carey's for a fun I Spy challenge! DESTINED FOR DOON is the second in a series that will span 4 books. The authors are giving away a signed copy of DOON for a lucky commenter on this blog - please include your email address, so I can contact you. This give away is open for US only. Here it is! The cover for SHADOW STUDY which will be on sale on February 24, 2015! For those who are unaware, this is a new Study series book featuring Yelena and Valek, with chapters from both their POVs! 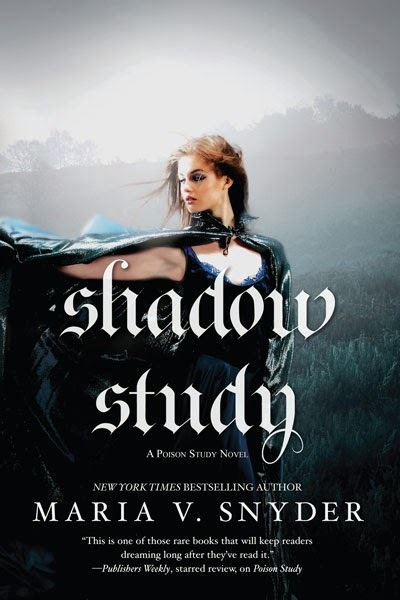 Two Chicks on Books Blog is hosting a give away of a signed early copy of SHADOW STUDY. I get my author copies anywhere from 4 to 6 weeks before the pub date so if you win you'll get the book mid-January to early February. Yes - it's open to ALL, including international :).